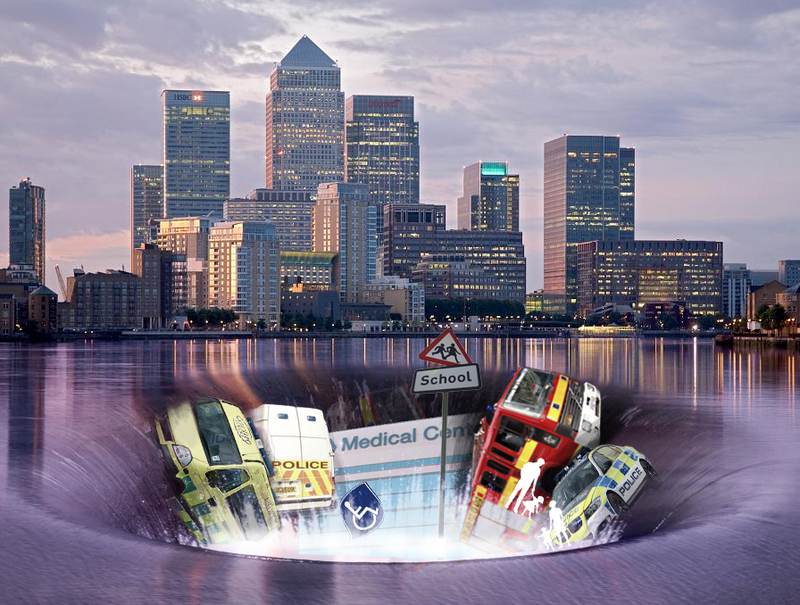 A shocking £35 billion Tax Gap has just been uncovered in the City of London. The Tax Gap, the result of large scale corporate tax avoidance, has been found to be directly responsible for the loss of public services across the UK. Help us plug the Tax Gap by sending an email to the Chancellor of the Exchequer, George Osborne, today, calling for tougher action against tax cheats. Remember: Every pound lost in tax avoidance is a pound less to spend on vital benefits or public services. Help us close the Tax Gap now! Graphic with thanks to Kael Oakley. Should the link below the photo go to a source? At the moment it only goes to the image file. Visitors coming straight to this page, like myself, will want a link to further information. Pingback: FCAblog » Fantastic tax gap news! tax avoidance is not cheating, tax evasion is. Change the laws if you dont like them–but dont claim those within the law are cheating, its absurd.